One trend I’ve been noticing at the CrossFit box I belong to is whenever we have to do an AMRAP (As Many Rounds As Possible) or a fixed number of rounds, people are scrambling for ways to keep track. One way they use is they write the number with a pen on a little scrap of paper. The other method is to use the chalk to mark the floor or something near them. One day I was thinking it would be a lot more satisfying to slam a bead on an abacus and thought about making the barbells themselves an abacus. However, we aren’t always using barbells. 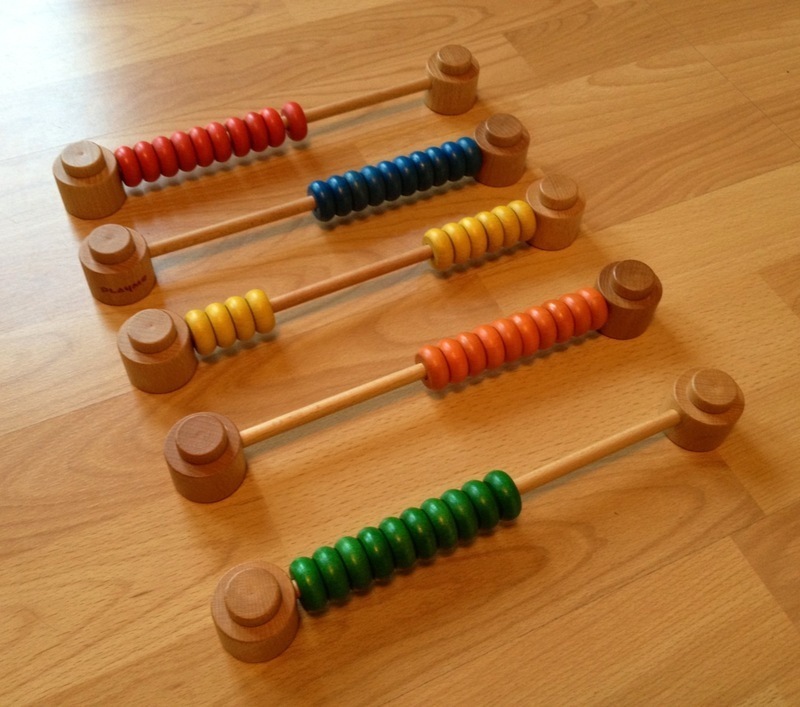 John found these awesome single-row abacus’ so I bought some for the gym. My next attempt is going to be something like “Ranger Beads" since I think those will be more practical. Stay tuned!